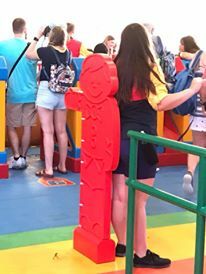 Toy Story Land is Welcoming New Guests!!!! 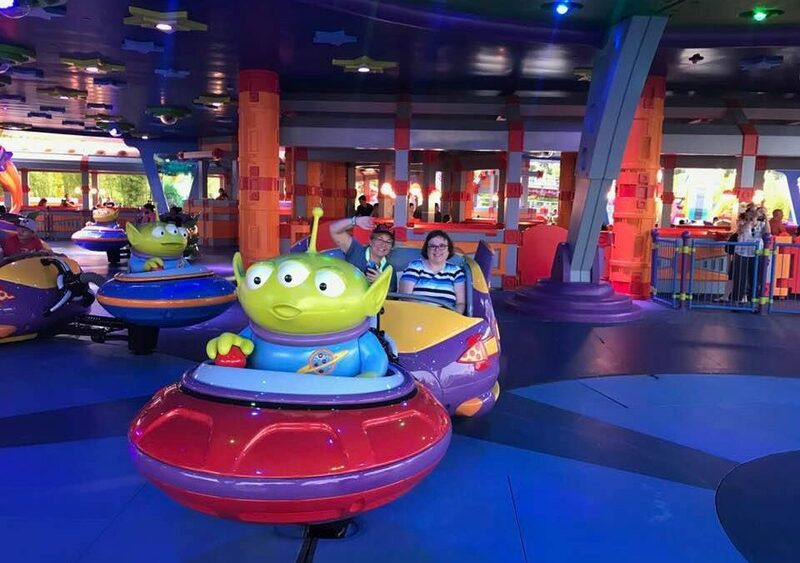 Since The Toy Story movies are some of my favorite Pixar movies, I was so excited to be attending opening day at Disney’s Hollywood Studios on June 30th, 2018. Luckily, It just happened to align with an already booked Disney vacation. My friends and I talked about our strategy for the big day. We planned on leaving our room at The Polynesian bright and early no later than 5:00 a.m.that morning. We had a car so we didn’t worry if Disney buses would be running that early (turns out they WERE!). As we approached Disney Studios, we soon found out we weren’t the only ones with the same strategy! Despite cars pouring in to the parking lot, we were able to park relatively close and just walked to the entrance. I was surprised how fast they got us through the bag check and right past the ticket booth is where the crowd had gathered from the left side all the way to the right side. It was a fun and jovial crowd, not to mention THEMED! 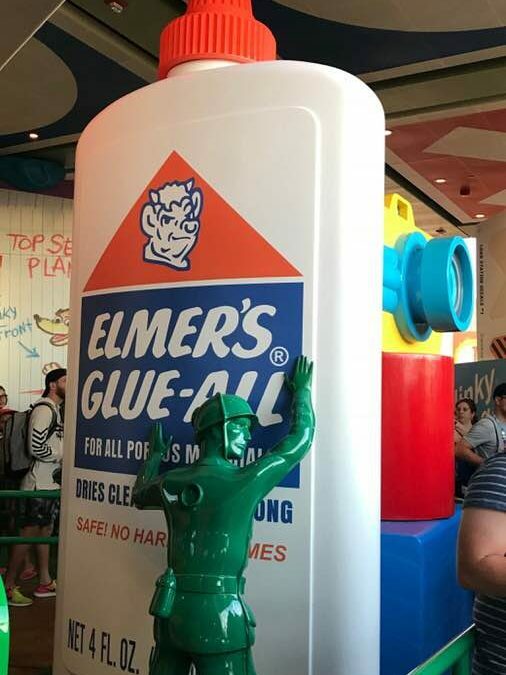 Many people were dressed like their favorite Toy Story character. Some of the kids had spread out blankets and were playing cards. 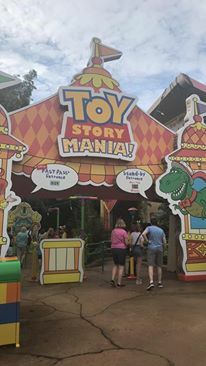 It was already quite warm this morning but we didn’t care, we just wanted to get in to Toy Story Land! 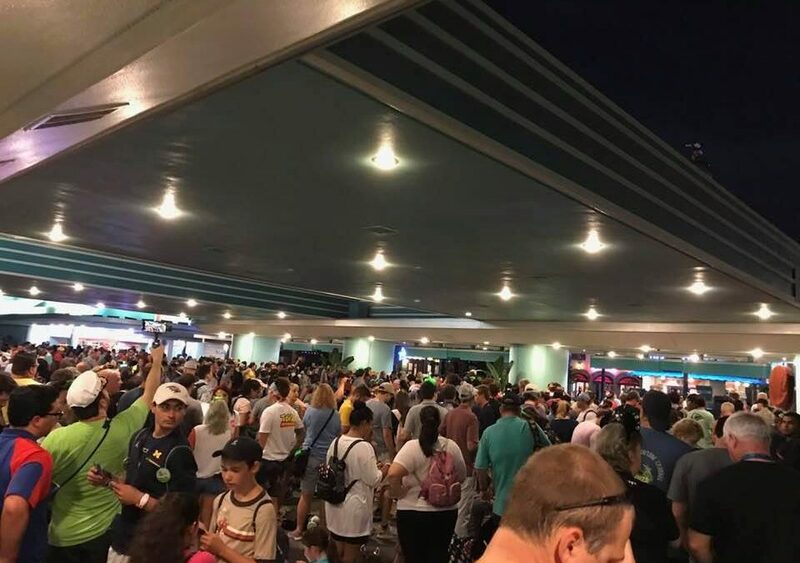 We started noticing the crowd moving forward and sure enough shortly thereafter they made an announcement that Toy Story Land was open and ready for guests! 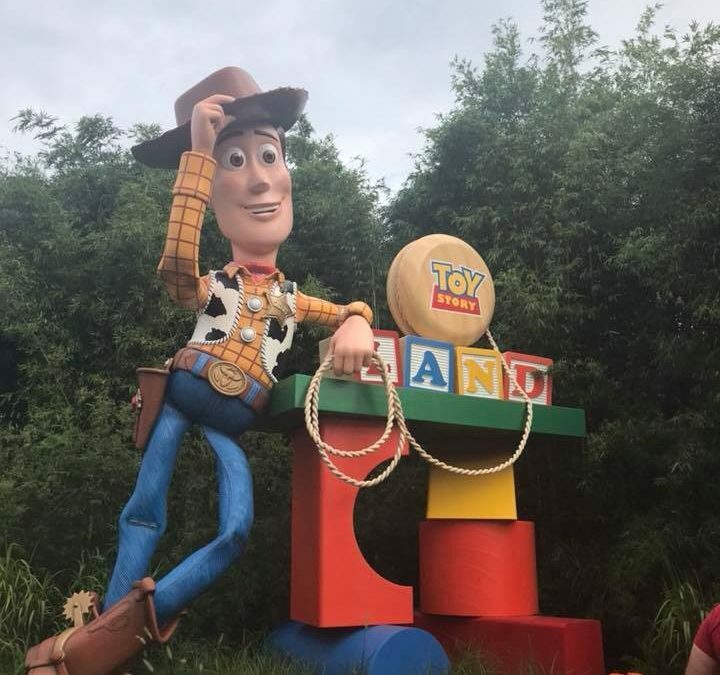 “Be prepared to feel like a toy as you enter Andy’s backyard!” We all walked swiftly towards this incredibly-themed new land. Excitement was building as we entered and before we knew it, we spotted Woody tipping his hat to us! We immediately were met with the end of the line for Slinky Dog Dash! It appeared to be long at that point but once the queue opened, it moved rather quickly. We were through the line and on and off the ride by 7:00 a.m.! Prior to this day, I had only ridden the ride “virtually” at an event that I was invited to. I can honestly say, riding it in person was nothing short of amazing! It is such a smooth coaster and faster than I thought it would be! The seats are very comfortable and plenty of room for 2 people to sit comfortably. I was so surprised how fast and long it was and the little bunny hop hills at the end did not disappoint. 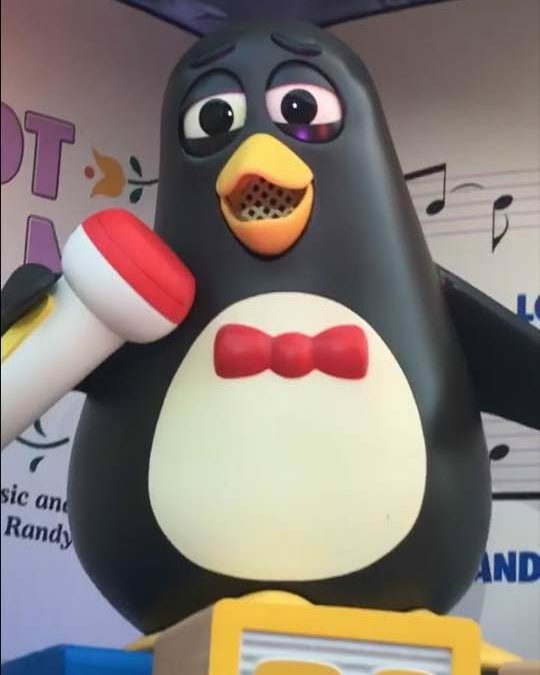 What a fun ride, especially at the end when Wheezy is singing to you. I ended up riding it a couple more times that week, including at night which is a totally different experience! 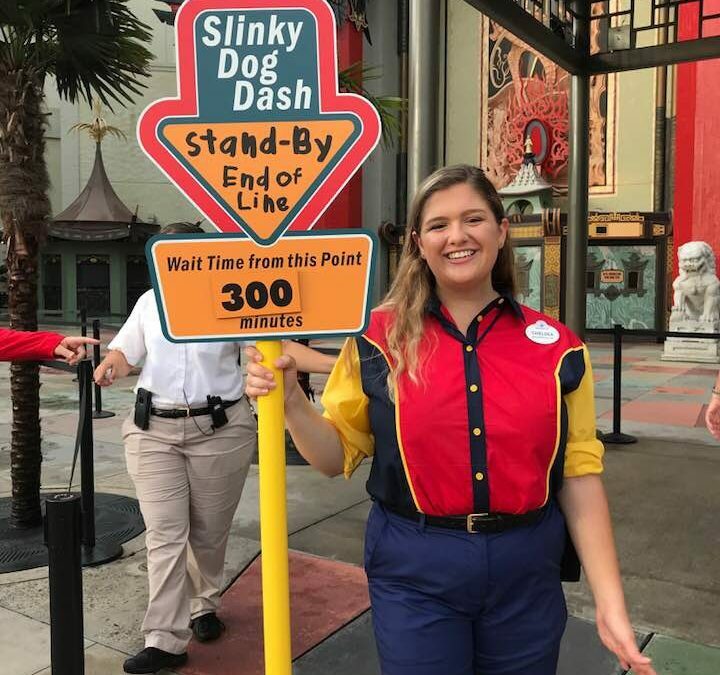 After purchasing our Aliens, we took a walk around the Studios and noticed the line entry for Slinky Dog was now at the Chinese Theater and was now at 300 minutes! We were so glad that we got up early that day and rode it in the first hour of opening. We had reservations for lunch at Hollywood and Vine so we did not get to experience Woody’s Lunchbox so we will save that for another trip in a couple months. 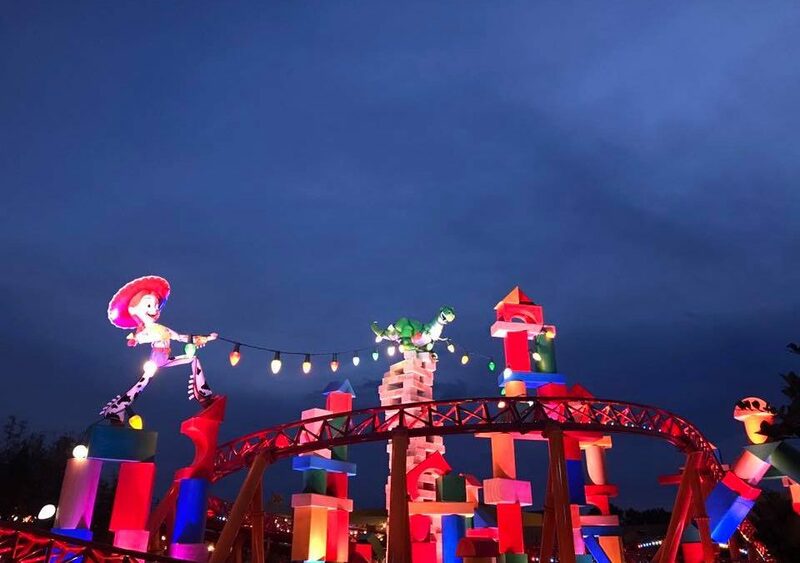 We did make it back later in the week to experience Toy Story Land at night and it was a whole other way to see it. We were pleasantly surprised to see the wait times were not nearly as bad as we thought they’d be. My friends rode Slinky Dog with a 210 minute wait but the actual wait time turned out to be 75 minutes. Well worth it, especially at night! 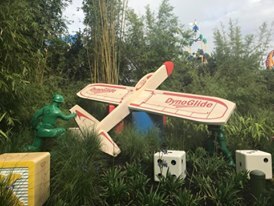 Toy Story Land is such a welcomed new addition to Disney’s Hollywood Studios. The great thing about it is, it is wonderful for all ages of the family. You really DO feel like you’re shrunk to the size of a toy! The detail is absolutely incredible and if you’re like me, most of these details are wonderful reminders of your childhood or your children’s days as a child. 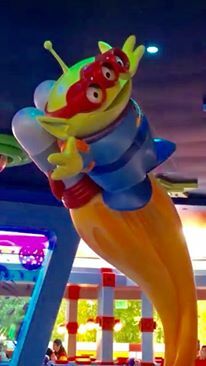 Also, the new entry to Toy Story Mania is nice and those wait times are lower than ever! 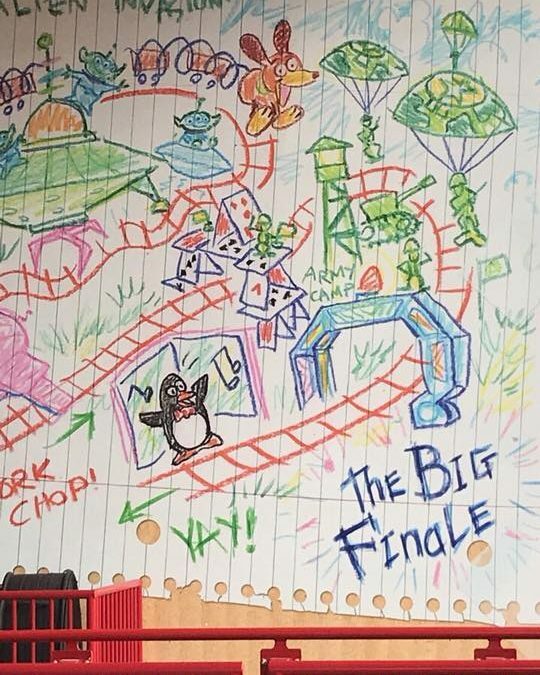 I cannot wait to experience Toy Story Land again in a couple months! Ready….Set…..BOOK! Your 2019 Walt Disney World trip, that is! If you go to Disney every year like we do, you must be getting excited that the 2019 Walt Disney Travel Company Package Rates will be released on Tuesday, June 19th!~!~!~! More than any year that I can even remember, 2019 is going to be the year to go to Walt Disney World! 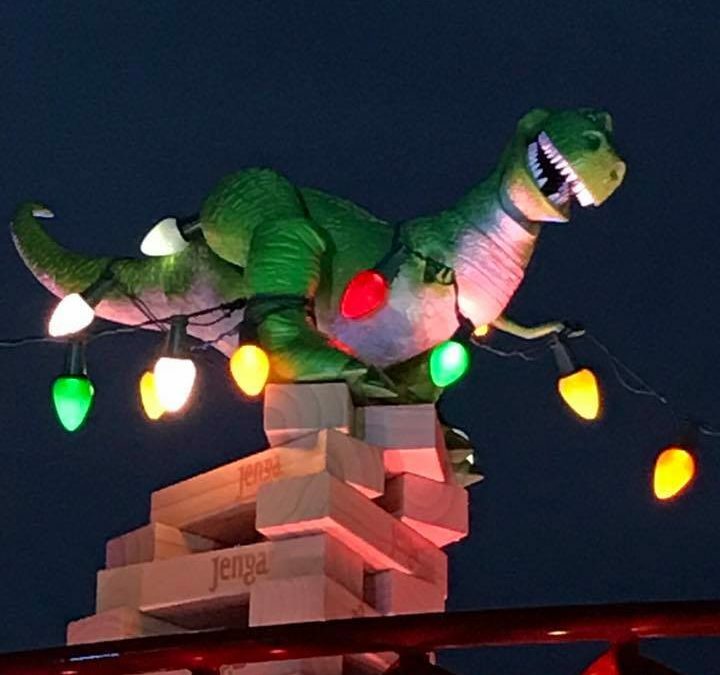 Toy Story Land is opening in two weeks and it will still be wildly popular well in to the new year! Of course, Star Wars: Galaxy’s Edge and we can’t forget Mickey and Minnie’s Runaway Railway….all brand new lands and attractions you will want to be sure to experience! My advice for 2019 is BOOK EARLY because that will give you the best choice of your resort and availability. Of course, we always recommend having a travel agent handle those busy details for you! Whether you book your vacation yourself or have our official travel agency, Dreams by Design Travel, book it for you, you are paying the same price! In fact, by booking online with Disney or over the phone, a commission is built in to the price so you are paying for a service you don’t receive! 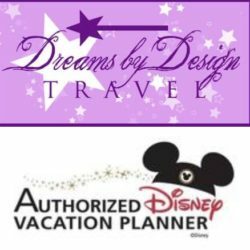 Dreams by Design charges NO FEES for their CONCIERGE SERVICE! Always Book your Disney vacation with a Disney Earmarked Agency! 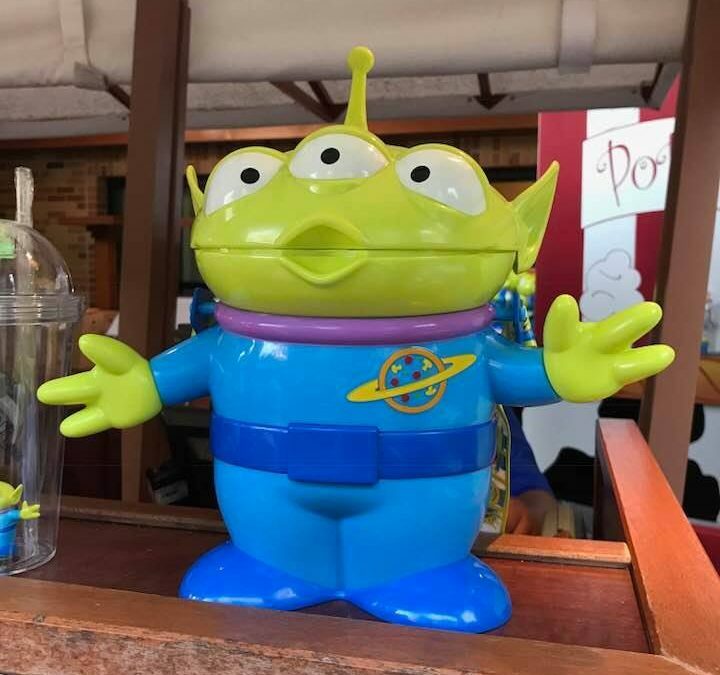 Lost Something While at Disney? Now it’s Easier than EVER to get it back! Disney now has a new way to report your lost items while visiting their parks! 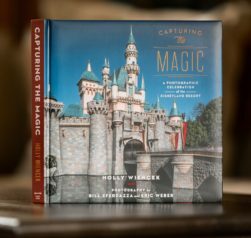 A day at Walt Disney World Resort is sure to be adventurous and filled with fun, but sometimes in all that excitement it can be easy to lose track of your personal belongings. That’s why Disney is introducing an online tool to make it even easier and more convenient for you to report lost items. 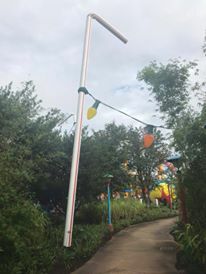 Did you know if you lose something in one of the parks, water parks, Disney Springs, ESPN Wide World of Sports or on Disney transportation, you can now visit DisneyWorld.com/lostandfound, input information about your lost item, and then Disney will do the searching for you? They can even send you periodic updates on the search right to your email address, whether you’re still visiting Walt Disney World Resort or have already returned home. If you lose something at your resort, you are asked to contact your resort directly so they can check there for you. All it takes is a few simple clicks on any smart device, to get the search started. It’s so easy, it’s like magic! 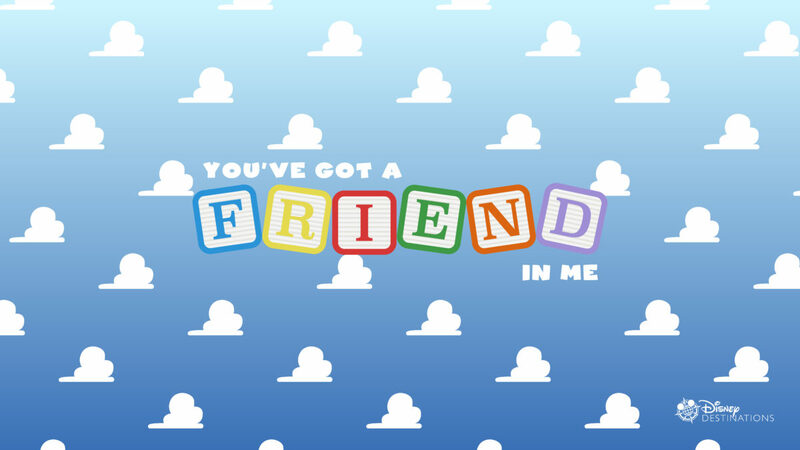 Step 1: Visit DisneyWorld.com/lostandfound to get started. Step 2: Enter information about your lost item. Step 3: Fill in your contact information and click submit! Have additional questions? Disney cast members are always happy to help and more information is available at DisneyWorld.com/lostandfound. BREAKING NEWS::::OVERNIGHT SELF-PARKING AT DISNEY RESORT HOTELS AT WALT DISNEY WORLD® RESORT WILL BE FEE BASED! 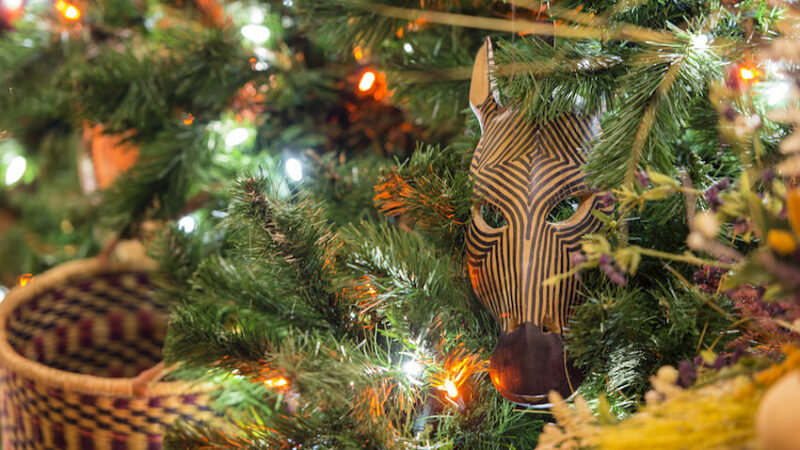 This has just been released from The Walt Disney World Resort! Effective for reservations made March 21, 2018 and thereafter, standard overnight self-parking is available to registered Guests for a fee that will be applied to their hotel folio upon check-out. All parking fees include applicable tax. Complimentary standard parking is available to Guests staying at Campsites at Disney’s Fort Wilderness Resort. Each campsite provides parking space for one (1) motorized vehicle. Valet Parking is available at select Disney Deluxe Resorts and Disney Deluxe Villas for $33 per night (sales tax included). Designated parking areas are available throughout Walt Disney World Resort for Guests with disabilities. A valid disability parking permit is required. Members will not be charged for standard overnight self-parking when staying at a DVC Deluxe Villa, regardless of whether they use vacation points or another form of payment. Members also will not be charged to park when using vacation points to stay at a Walt Disney World Resort hotel. Complimentary standard self-parking is available while enjoying select dining, shopping, entertainment, and recreation experiences at Disney Resort hotels.